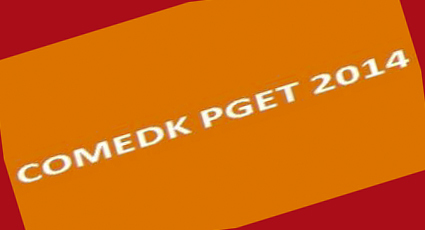 The Consortium of medical, Engineering and Dental Colleges of Karnataka(COMEDK) conducts the Post graduate Entrance Test(PGET) for post graduate admissions in Karnataka. The entrance test caters to the member institutions in Karnataka only, as per the eligibility desired by Medical council of India/ Dental Council of India. COMEDK provides fair and effective objective testing processes for private member institutions and 21,579 candidates have so far registered for the test. The Post Graduate Entrance test was held on 2nd Feb 2014 by COMEDK. COMEDK released the final scores for 2014 and these scores will be used for Post graduate Studies in 12 medical Colleges and 19 Dental Colleges. 600 seats are available for admission. The official website of COMEDK(https://www.comedk.org/) has provided the provisional list of answer keys. This website can be assessed by the candidate’s login details such as application number and date of birth. All the application details such as Online TAT(Online Test Admission Ticket), Online Rank card and alerts depend on the application status update. There were 4 sets-A,B,C,D and the provisional answer keys were released on Feb 3rd 2014. This entry was posted in Education and tagged comdek, comedk 2014 pget on February 24, 2014 by admin.